We live in a world of hyper specialism, losing context and our connection to the surrounding region breaks down. The expertise we valued so highly has served to narrow and shorten our vision. It has blinded us to potential and opportunity. 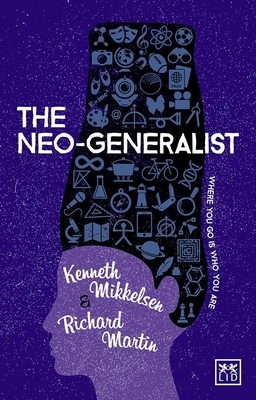 This book argues that there is the need and place for both specialist and the generalist. Currently, it feels the balance is tipped too far towards specialism, which results in too much blinkered decision-making. The authors call for people to develop into generalists. These are people who possess both a breadth and depth of skills, knowledge and experience. These are most definitely not 'jack of all trades, masters of none'. Rather, they are people who have the potential, the attitude and the aptitude to specialise in more than one discipline, and are adept at navigating the digital, networked world we inhabit today.